The Rashtriya Swayamsevak Sangh (RSS) is all set to send invitations to diplomatic missions of at least 60 countries across the world for its three-day lecture series to be organised in Delhi next week. However, it is said, Pakistan is not on the invitation list of RSS. The lecture series will be addressed by chief Mohan Bhagwat, who will also take questions from the audience. The three-day lecture series will begin on 17th September. The RSS's lecture series is based on the theme, ‘Future of Bharat: An RSS perspective’. The lecture series, that will be addressed by chief Mohan Bhagwat, who interact with the audience directly. The series was announced on 27 August. Earlier, RSS functionary Arun Kumar told PTI that people across the country wanted to know and associate with the RSS. “This lecture series has been organised in this context... sarsanghchalak (RSS chief) Mohan Bhagwatji will present the Sangh views on various contemporary issues of national importance,” said Arun Kumar. The RSS event, will not witness the participation of neighbouring country, Pakistan as the country has been left out from the invitee's list over its “strained relations” with India. “Invitations will be sent to embassies of most Asian countries excluding Pakistan. Pakistan will not be invited because that country supports terror, kills Indian soldiers at borders and its relations with India are strained,” An RSS functionary told The Indian Express. Although China is on the list of the invitees of the RSS to attend the programme because it has “cultural similarities” with India, the report states. 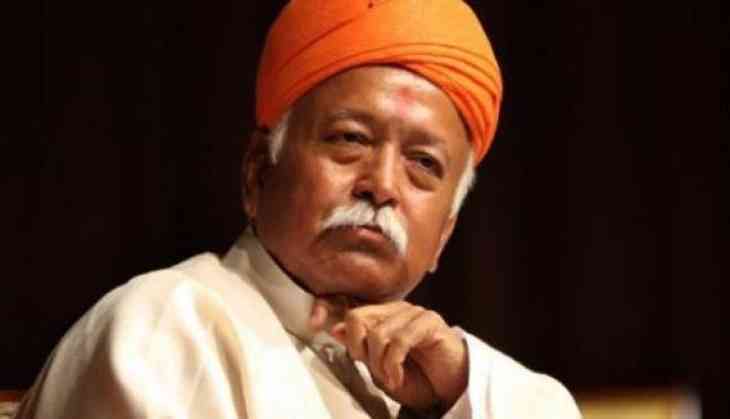 Reports, also said RSS will send invitations to heads of all national political parties, including Congress with a request to attend the lecture series along with four to five other party members.“Among state parties, invitations will be sent to those parties that have a strong base in different states and enjoy public support and often raise questions related to RSS, like TMC, Samajwadi Party, DMK and others,” said sources.